Skiing in Missouri? That’s right. Just 40 minutes south-west of St. Louis in the Ozark Foothills is Hidden Valley. Certainly no Colorado, Hidden Valley boasts a whopping 500 vertical feet of skiing (like skiing down 5/6 the height of the arch) and makes all of its snow because Missouri doesn’t get enough snow to sustain a ski hill. I arrived on a Monday afternoon excited for a day of skiing. When I got to the ticket shack, they told me it was $70 (with rental) to go skiing for the day- more than the price of a lift ticket to Alta, my favorite ski mountain in Utah. 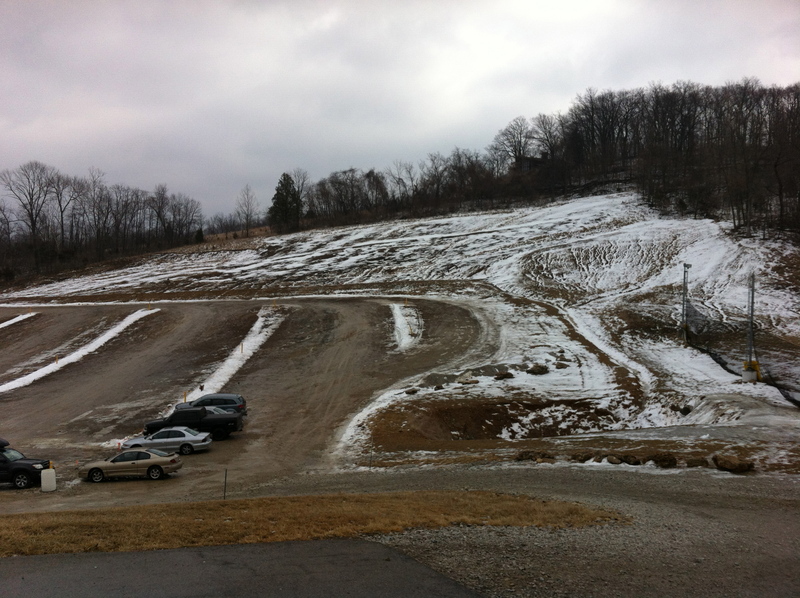 As an expert skier, I could not justify dishing out all that money to ski on a glorified bunny hill. That said, I was able to pay $20 to go tubing. While the skiing is mediocre at best, the tubing hill is incredible and has 300 vertical feet. I took my tube up the special tubing lift and walked to the first of the 8 tubing lanes. The ride down was 20 seconds of pure bliss. 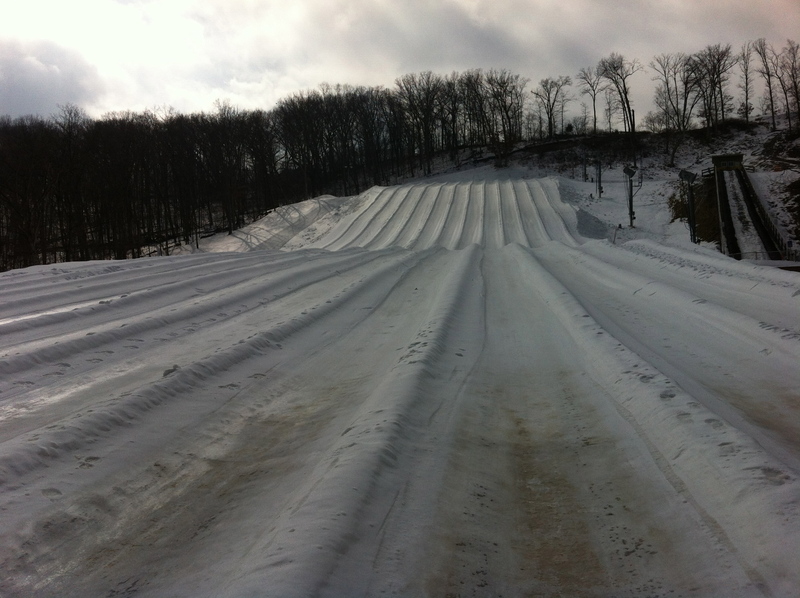 The tube went very fast on the manmade snow. I spent about 30 minutes tubing before heading back to the car. 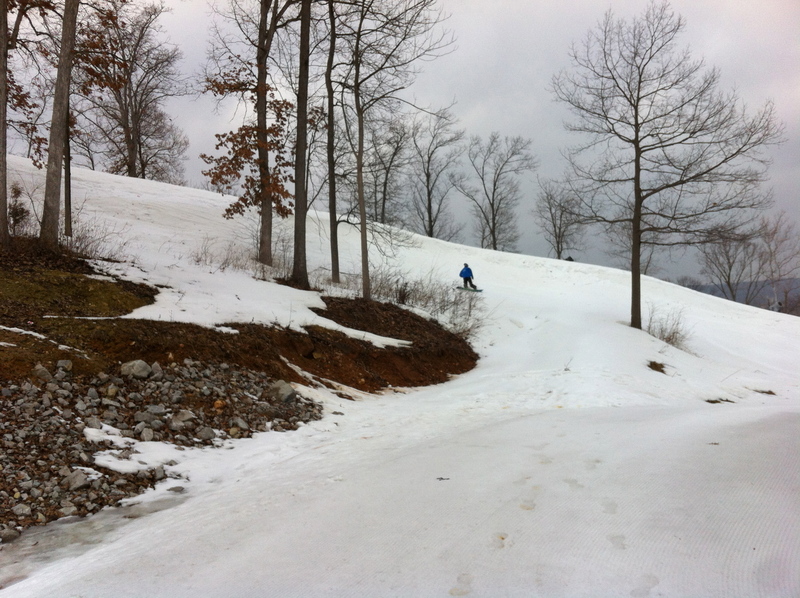 While Art Hill is St. Louis’ most famous sledding hill, Hidden Valley is the best hill in the metro area and is a must-do for anyone who likes to have fun. I would only recommend the skiing to a beginner or someone without the ability to go to somewhere with actual mountains like Colorado.